Today, the European Commission has fined Google €1.49 billion for abusing its market dominance of online search adverts. The company has now been fined over €8.25 billion by the Commission in less than two years for illegal practices. Google's seemingly yearly antitrust fine from the European Commission has arrived early this year. 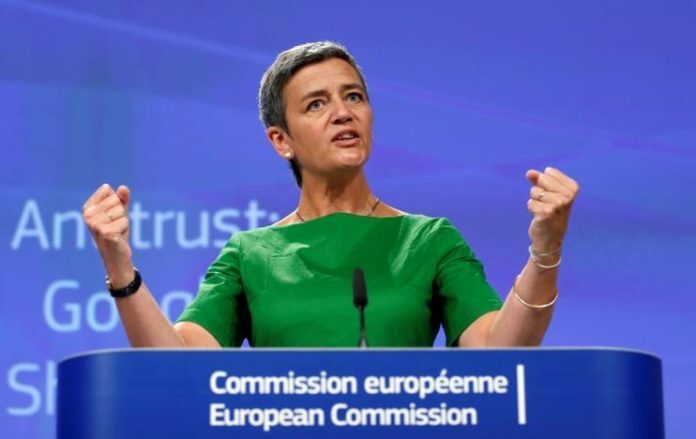 Margarethe Vestager, Commissioner for Competition, has today announced that the Commission has fined Google LLC and Alphabet Inc €1,494,459,000 for forcing third-party websites to sign contracts that prevented rival advertising companies from placing adverts on their websites. The fine represents 1.29% of Google's revenue from online search advertising in 2018, which is in accordance with the Commission's 2006 guidelines on fines, about which you can read more here. The Commission reports that Google had more than a 70% market share from 2006 to 2016 in online search advertising intermediation in the European Economic Area (EEA), and so a dominant player in that market. 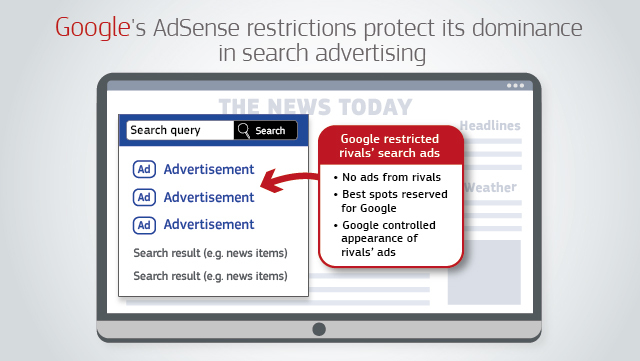 Google used AdSense for Search to block online search advertisers like Microsoft and Yahoo from advertising on websites with whom Google had signed a contract. This practice began in 2006 according to the Commission with Google including exclusivity clauses into its contracts that prohibited third-party websites from using other online advertising companies. Google then began in 2009 to require websites to reserve the "most profitable space on their search results pages for Google's adverts" and to only change how rival adverts were displayed with Google's express written permission. In short, Google controlled how rival adverts were displayed on certain websites for 7 years, until the Commission announced in July 2016 that it was investigating its practices. This latest fine comes after the Commission fined Google €2.42 billion in June 2017 and €4.34 billion in July 2018 for illegal practices. You can see the full Commission press conference here.